You may have seen it on ESPN! Now you can meet the people in person! This Sunday, New Orleans Model Aviation Club (NOMAC) will be hosting the 2018 MultiGP Regional Qualifier. 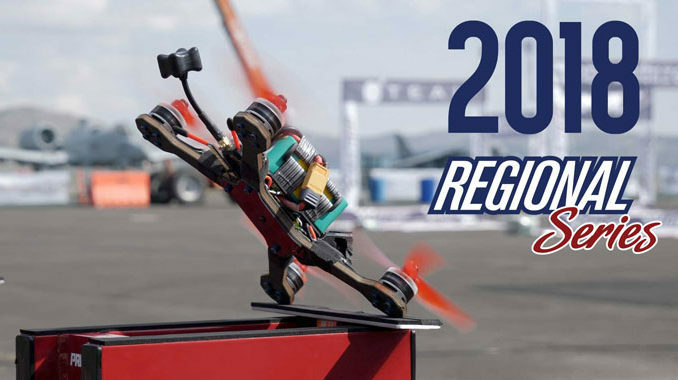 The best Drone pilots from Arkansas, Louisiana, and Mississippi will be flying head to head to advance to the next level of competition. The 6 winners from this event will advance to the next level. This 1 day event will held this Sunday, July 29, 2018. Television monitors will be available for the spectators to get the first person view (FPV) of the drones racing. This event is FREE to the public with plenty of cover spaces to watch the heats as the pilot work their way to the finals. Pilots Information: – $20 Race Fee. “Cash Only” Pay on pilot check in. Be sure to set your VTX to your Multigp assigned channel before arrival. THE FIELD is located less than an 1/2 hour away from New Orleans, on the West bank of Jefferson Parish, just off Highway 90. NOMAC has full time electricity and water for your convenience. Ample parking, and RV’S are welcome. For more information on the MultiGP series and how you can get involved, check out the links below.